The Monastery of the Archangel Michael on the Greek island of Thassos is a podvoriye of Philotheou Monastery on Mt. Athos. 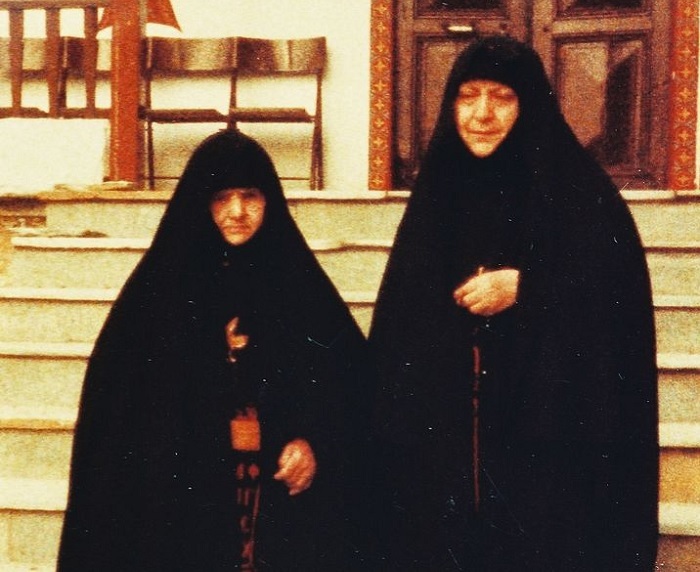 GerontissaTheophano, the mother of Elder Ephraim of Philotheou and Arizona, spent the final years of her life there and departed to the Lord on February 27, 1986. She became a novice to her own son! The gerontissa of the monastery, Abbess Ephraima, blessed us to record stories of Gerontissa Theophano, as well as recollections about her from sisters of the monastery. In the Monastery of Archangel Michael and generally in Elder Ephraim’s spiritual family everyone calls Gerontissa Theophano “Grandma.” “Grandpa” is Elder Joseph the Hesychast, the spiritual father of Archimandrite Ephraim, and “Grandma”—Gerontissa Theophano. About how this common woman, spending the large part of her life in the world and having raised three sons, one of whom became an Athonite abbot and great elder, ascended to such spiritual heights, we will try to speak in this article. We hope that the example of this Orthodox Christian, having combined within herself the virtues of motherhood and monasticism, would inspire our God-loving readers, both laity and nuns, to try to imitate her measure of strength in podvigs and prayerful labor. We also hope that readers of this article will come to love Mother Theophano, and begin to turn to her for prayerful help and beseech her intercession and teaching, undoubtingly believing that she has found boldness before the Lord God, Whom she so loved and Whom she sincerely served with her whole heart until her final breath. Gerontissa Theophano (in the world Victoria Moraitis) had true maternal love for people. Her character was strict, but with love. She was severe first with herself and only then with others, with those whose souls were given to her to care for by the Lord, for her children and the young novices. Gerontissa was a person of prayer, and moreover was quite merciful and gracious, despite her severity. She was always a faithful woman, regularly going to church, but in early childhood she lived without any special podvigs and had no elder who could direct her in the spiritual life. She loved to visit new places and go on various trips. But after a fire in her house, and after a miracle associated with this fire, she turned to Christ with her whole heart. Soon afterwards the Lord sent her a spiritual father. Victoria’s husband, Dmitry Moraitis, was also a believer. He went to church but didn’t have the same zeal for God that his wife had. However, he never put up any obstacles in her spiritual life and podvigs. For example, Victoria constantly labored in fasting, both during and outside the Church fasts. Preparing to receive the Holy Mysteries of Christ, she, according to pious Greek tradition, kept the so-called “triimeron”—a complete three-day fast, eating absolutely nothing for three days. At the same time she had to do all of the necessary housework, and raise her children. After three full days of abstention she communed of the Holy Mysteries of Christ and would eat a little food that day, to begin again the next day preparing for Communion, and, accordingly, to begin a new three-day fast. At night she often awoke and arose to pray, locking herself in the kitchen. She prayed on bended knee, with tears and many prostrations. Her son John, the future Elder Ephraim, would say to her: “Mama, when you finish praying, wake me up and we’ll pray a little together.” Thus, from childhood, thanks to his mother, he loved nighttime prayer. When he was small it was hard for him to pray for a long time, but he tried to arise and pray at least a little bit, as much as he was able. As I already said, Gerontissa Theophano’s husband allowed her everything connected with fasting and the spiritual life, but himself did not seek to emulate her in her podvigs. He was a so-called “moderate Christian.” He had his own work—a small carpenter’s workshop, where he worked with his sons, from an early age teaching them his craft and dreaming of leaving them his workshop as an inheritance. In the end this work was inherited by Elder Ephraim’s older brother Nicholas. He works there to this day, now together with his sons and grandsons. Dmitry and Victoria had four children. First they had a daughter, Elena, born in 1924. Victoria was an orphan, and before marriage she had to clean the neighbors’ houses to feed herself. So from eleven years old she was out in society. One of the women she worked for was especially kind to her, took care of her, and even helped her get married. When Victoria had a daughter, she named her after this woman, Elena. Elenitsa, as they called her at home, died in early childhood. 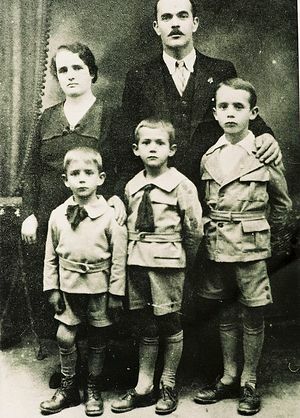 Then three sons were born to Victoria: Nicholas (1926), John (the future Elder Ephraim, 1928) and Christos (1930).During the Second World War Greece was occupied. A famine began in Volos and other cities. They had to collect and gather grass to survive. Additionally, the peaceful inhabitants were constantly in danger from the occupiers, but Victoria’s prayer saved her family and children in these difficult years. More than once the future elder and his brothers avoided death literally by a miracle. In these years, to help his parents somehow feed the family, John and his brothers would haggle for every little thing at the city market: bagels, quinine, buttons, matches… One of these days, when John and Nicholas had just gone off to trade, the market was surrounded by Germans who seized everyone there, saying that everyone would be immediately shot. Just a few minutes before, Nicholas had briefly left the market for some necessity, and therefore he wasn’t captured, but John was among those whom the Germans took to be shot. At that last moment the residents convinced the Germans to release at least the women and children. John was about fifteen years old, but he was short and thin from hunger and of weak health, looking younger than his age. In Greece in those years the young boys wore short pants, like shorts, in winter or summer. The elder was a head shorter than the boys his age and at fifteen still wore these short pants. In those years clothes were generally worn for a long time, literally to tatters. It saved him: thanks to his children’s clothes, small stature and thinness he passed for a child, and at the last moment they released him together with the women and other children, and the Germans shot all the boys and men that day. Another time at the same market the soldiers captured and beat the elder’s older brother Nicholas half to death, for no reason. They often saw people hanged in those days. In those years they lived in an atmosphere of constant fear and terror. Only faith and prayer supported Victoria and her family. When the bombing began, all their neighbors fled to the bomb shelter or hid in basements, but Victoria stood on her knees before her icons and prayed. So strong was her faith. From the very beginning Victoria knew that one of her children would become a monk. She received two notices from the Lord about it. Here’s the story about how I learned about these notifications. When I spoke with Gerontissa Ephraimia and the sisters of the Monastery of the Archangel Michael they couldn’t exactly remember what kind of notice it was. Then Gerontissa Ephraimia concluded: “There is only one way to find out how it was: we have to talk with someone that Gerontissa Theophano personally told about this event, with some person who knew her well in her lifetime.” Then I mentally asked Gerontissa Theophano and Elder Ephraim to send me such a person, because I didn’t want to write something not corresponding to truth. “Gerontissa Theophano, whom I met in Portaria, once told my mother about how the Lord had sent her two signs about Elder Ephraim. They were like visions between dreams and reality. The first time she saw three crowns flying to heaven. Two of them were laurel crowns, and one was golden and this crown flew in the direction of the Holy Mountain. She was pregnant then and didn’t know then how many children she would still have. Knowing that John should become a monk, Victoria was especially exacting towards him. But she was a loving, albeit strict mother. The elder’s brother Nicholas notes that she always demanded that the children precisely carry out her instructions: “Not halfway, but completely and exactly as demanded.”In 1947, Elder Ephraim left for Athos. His father didn’t want to let him leave the house and didn’t bless him to become a monk: he needed a helper at the carpentry workshop, where there was always a lot of work. Then John’s mother helped him secretly leave. She went against her husband’s will in this case, because she knew that the will of God was that her son become a monk. When John turned nineteen and the family’s confessor, Fr. Ephraim, blessed him to go to Athos, his mother helped her son prepare in secret everything he needed for the trip. His father, knowing his son’s strong desire to leave for Athos, strictly controlled him and required him to be report in on where he was and when he would return. At that time there were catechism courses at their parish, something like a school for youth, which John regularly visited. His father didn’t allow him to go to these lessons, which his spiritual father, Fr. Ephraim, held. On the day he left for Athos his mother advised him to write a note to his father that he had gone to the catechism class and would return later. In his talks the elder would say that even this corresponded to reality: for how many catechetical lessons did he have to endure on Athos in the beginning? John left a note, grabbed the things he had prepared and headed on foot for the port, to the pier to get on the boat to Athos. His father, returning from work, asked Victoria where their son was. She showed him the note and, having read it, he calmed down. However, later, when the hour had passed when John usually returned from the lessons, his father got worked up and began to interrogate his wife. In the end she was obliged to reveal the whole truth. Then his father, angrily shot back: “This will not be,” grabbed a bike and dashed for the pier, hoping to catch up with his son and bring him back home. Along the way he fell off the bike and hurt himself pretty badly, such that he was in no condition to continue his pursuit. He had to return home with nothing. In his conversations the elder concluded that, obviously, it was the will of God that he got on the boat that day and sailed for Mt. Athos. He wrote his mother just one letter from Athos, in which he wrote: “Here, mama, we don’t wash ourselves with water. We wash ourselves with tears.” Then there was no news from him for many years. As we know, the first time the elder left Mt. Athos, according to the last will of Elder Joseph, after his death, was to visit his hometown of Volos, and take upon himself the spiritual direction of the sisterhood which at that time lived in one house in the village of Stagiares in the Pelion region. It was then that he met his mother again, and, as we know, she didn’t even recognize him—so much had the elder changed over the years, spent in ascetic labors. 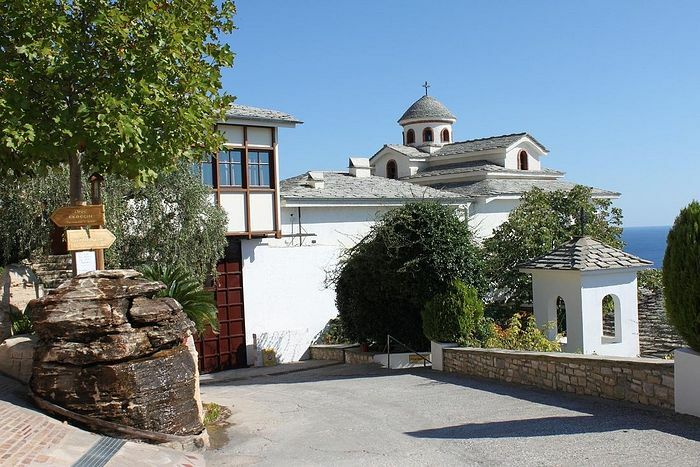 In 1962, with the blessing of Elder Ephraim, the sisterhood from Volos bought a small plot in the village of Portaria on the mountain in Upper Volos to build a monastery there. There was no monastery there before that. The miraculous icon of the Mother of God which had been in the house in Stagiares before that was immediately transferred here. After transferring the icon to the new place they began to work on building repairs, and the beautification of the territory, and in 1963 the sisterhood relocated to Portaria. Soon Elder Ephraim celebrated the first tonsure in the newly-constructed monastery—over his own mother Victoria, who was named in tonsure Theophano, and her friend who was named Matrona. Elder Ephraim named his mother in honor of the blessed queen Theophano († 893/894), the wife of Leo the Wise. The elder greatly reveres her and therefore named his mother in her honor, and after her many of the elder’s abbesses and nuns also received this name. After her tonsure, Gerontissa Theophano did not stay in Portaria, but returned home for some time. By this time her husband, Elder Ephraim’s father, had already died, but her youngest son, Christos, was not yet married. Gerontissa lived at home with her youngest son until he got married, and then finally relocated to Portaria, to the monastery. Soon after the tonsure of his mother, Elder Ephraim tonsured Maria who he named Macrina—she became the abbess of the monastery in Portaria. Gerontissa Theophano was her sponsor in the tonsure, and therefore Matushka Macrina considered her her gerontissa and spiritual mother. For many years in Portaria they shared one cell and continued in joint prayerful podvigs, as they had done in the world, in Victoria’s home, locking themselves at night in the kitchen, to spend hours kneeling in collective prayer. They were great women of prayer. The locals bear witness: they saw how two pillars of fire would rise from the monastery at night to Heaven—the prayers of Gerontissas Theophano and Macrina. Thus Gerontissa Theophano became the first and best novice of her own son. As the nuns say, she had true obedience and unceasing prayer, and therefore she had a lot of temptations. 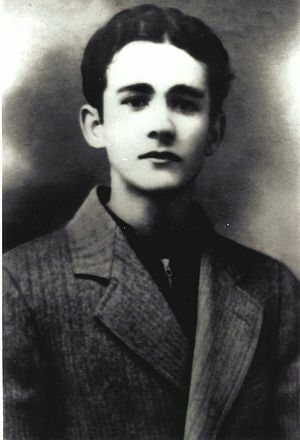 Gerontissa Theophano lived in Portaria until 1983. By that time her health had worsened, and the climate in Portaria did not suit her. Then, because of her sickness, Elder Ephraim decided to transfer her to the newly-opened Monastery of the Archangel Michael on the island of Thassos. During the final period of Gerontissa Theophano’s life in the monastery on Thassos, the sisters said that she was always the first to church. She always stood during the services, never sitting anywhere. In Greek churches, in addition to stasidi along the wall, usually there are rows of chairs, usually in the back but sometimes in the front of the church, and the faithful periodically sit down to rest, because services in monasteries are very long. Gerontissa Theophano always prayed standing with her prayer rope, never letting go of her prayer rope. Because of her unceasing prayer she endured much from demons who heard and saw firsthand. She told the sisters that only had she just entered her cell to rest before the night services, and lied down upon her bed, when demons came to her, not allowing her to sleep. They called her: “Hey, old woman! old woman!” and pulled her from every side, tossing her blanket, and she saw them. Once they pestered her so much that she absolutely could not fall asleep in the evening. They finally left her not long before the beginning of the service, and matushka dozed off. Then came the pounding on the semantron, gathering the sisters for the service. Seeing that she hadn’t come to the church, Sister Isidora went to her cell to wake her. She began to knock on the door of her cell, and Matushka Theophano thought it was the demons again harassing her, and answered from behind the door: “Go away, stop hitting me!” Later she said the devil beat her all night, not letting her sleep. When gerontissa turned 92 (Decemebr 20, 1983) she had a stroke and became paralyzed. Until the very last day before her illness she independently took care of herself and helped in the kitchen, making food for the sisters and teaching them how to make prosphora and various other household things. She was a great homemaker, and whatever she undertook turned out well. Moreover, she was very hard-working, never stopping for rest, all the time either praying or working. The first Lent after her stroke everyone thought she would die. Elder Ephraim came to Thassos from the Holy Mountain and spent forty days—the whole of Great Lent—with his mother. He saw a great number of demons all around her, who gave her soul no rest. He began to fervently pray and beseech the Lord to deliver his mama from the demonic powers. By his prayers, Gerontissa received relief from her illness, came to and remained lucid until her blessed repose which occurred two years later. In one of his recorded talks, Elder Ephraim talks about his mother’s blessed repose. “The climate on the island of Thassos suited her better than in Portaria, so I moved her there. She gradually drew near to the end of her life. Two years before her death, at the age of 92, she was paralyzed. From that time she didn’t completely raise herself from her bed. But, glory to God, as the Gospel says: And every one that hath forsaken houses, or brethren, or sisters, or father, or mother, or wife, or children, or lands, for my name’s sake, shall receive an hundredfold, and shall inherit everlasting life (Mt. 19:29). When she was in such a state I was there with her, together with the nun-nurses and Gerontissa. It was dark, lampadas were burning. The night before, at about the same time, her eyes opened at some point. She opened her eyes and looked around, as if she was expecting something to happen or that already happened, with some kind of uneasiness, as if listening to something, or seeing something or someone. This was the first time after being unconscious for so many days that she showed some attention to the world around her. Lying, because she was unable to move, with open eyes, she looked all around, to the right, left, up, and down. And as the moments flowed by, her face more strongly revealed a state of terrible agony and terrible fear—a whole river of fear. I saw such fear reflected on her face as when some killer is drawing near with a knife, ready to cut you. I began to cover her with the sign of the Cross, repeating aloud the Jesus Prayer to calm her. I understood that what was happening was a demonic temptation. After a while the danger passed, and the invisible powers departed. Mama calmed down, and she was still conscious. Then I asked her: ‘Mama, what happened? What’s with you’—‘Oh… so many, they are so many!’ And from that moment mama began to pray: ‘O Mother of God, save me! O Mother of God, save me!’ Day and night! From that point her mouth never stopped. Day and night she besought salvation from the Mother of God. After some time, when the torment was over, she completely calmed down and shut her eyes. The next day at the exact same time her eyes again opened. The same fear and agony was again displayed on her face. The exact same scenario happened again. It was all quite excruciating. Then I wondered: why does the devil have authority over this holy soul? I, of course, understood that this temptation was allowed so she could obtain a crown, that through this ordeal she could acquire boldness before God. And at some point, when she was in such a state, I said to myself: ‘It’s not fitting that this should continue. It’s time to end this.’ I went to my cell, got on my knees and began to pray: ‘O Lord, I beg Thee, do one of two things. Either take her right now, that she could have peace already, because she is worthy of peace, or banish the devil away from this holy soul. She has already labored for Thee so much, and now her time for rest has arrived.’ This is how I prayed. “The following year, after Nativity, in Christmastide, I went to the monastery to see her again,” continues Elder Ephraim’s narration. “She spoke and understood what was happening, and unceasingly repeated the prayer. In the final moments of her life her face was transfigured, blessedness shining upon it. She turned to the right, revealing her widely shining eyes and glanced off to the side as if she saw something there. In that moment I felt such Paschal joy in my soul, such resurrection, as if I had suddenly gathered the grace of ten Paschal nights. It was the first time I felt this in my life. Of course, when my elder Joseph departed to the Lord there was something special then too, but here it happened with my own relative. I felt such happiness at that moment, and also felt and saw … I don’t know, in what manner it happened, but I saw how her soul ascended unhindered to Heaven. When the doctor arrived he couldn’t believe that she had already died—she looked so alive. Her body was warm and soft, like the body of someone living. ‘Lord, have mercy! I can’t believe it!’ the doctor exclaimed. It was incorruption. I told the doctor that Christ said: death is but a dream, and every person will awaken on the day of the Second Coming at the sound of the archangel’s trump. 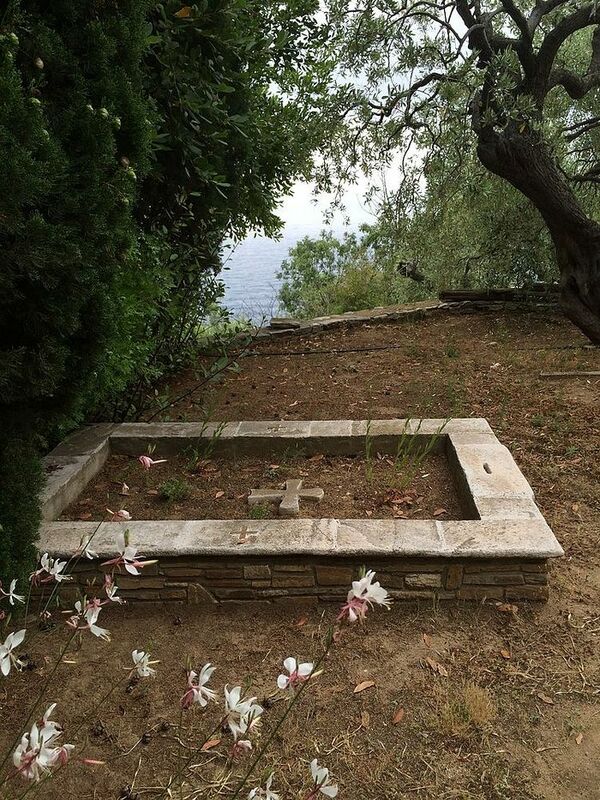 Gerontissa Theophano’s grave at the cemetery. There is no cross on it because her relics have already been removed. The sisters of the monastery told me that when Gerontissa Theophano’s coffin was carried to the monastery cemetery, sheep came and doves flew over. The sheep managed to get themselves out of their pen, ran to the grave, all bleating at the same time, and turned around and ran back to their pen. Then from somewhere above their appeared a flock of doves which flew over the grave and disappeared into the heights. Her relics were found to be “very beautiful.” In Greece the tradition still exists of taking bones around the third year after death and placing them in an ossuary—not only on Athos but in other monasteries and even among the laity in regular cemeteries. By the color and smell of the relics you can hypothesize about the postmortem state of the soul of the departed. For example, there are cases when the body does not dissolve, or the relics emit a foul odor—then it is considered that things are bad for the soul of the departed and it stands in need of prayerful help. Family members begin to order forty-day prayers for the dead and distribute alms for the repose of the soul. There are particular signs by which you can know that the soul of the departed found grace from the Lord: an amber color to the relics and a sweet fragrance emanating from them. It even happens that the relics of some Orthodox acquire incorruptibility. So, when they opened Gerontissa Theophano’s grave, her relics were fragrant and had the most amber color, by which it could be determined that her soul found salvation. A reliquary was made for her head which is now kept in the Monastery of the Archangel Michael on the island of Thassos. Through the prayer of holy fathers, O Lord Jesus Christ, our God, have mercy on us! Gerondissa, the feminine form of geronda, is the Greek word used to denote respect for an abbess or female spiritual instructor. A piece of wood which monastics rhythmically beat to call the others to the services. If you go towards the old-world village of Kalarrytes in the Tsoumerka Mountains in Epirus, you come across an impressive fortified monastery built into a rock face: the Holy Monastery of Our Lady of Kipina. The Holy Monastery of Kipina is built into a large cave in a sheer rock. According to the founder’s inscription, building began in 1349. But according to Metropolitan Serafeim (Vyzantio) of Arta, a historian, the foundation dates back further in time. Other historical sources date it to 1212. Access to the Monastery is by a stone path hewn into the rock. In former times, contact could be broken by means of a wooden drawbridge. The outer gate of the monastery. Without doubt, the time when the Monastery of Kipina was at its peak was the 18th century. Indeed, it’s recorded that, in 1760, the exceptionally active Abbot Kallinikos funded the construction of a bridge over the nearby River Kalarrytikos, a tempestuous tributary of the Arakhthos. The Monastery also ran a school and a water-mill. All of this shows both the financial power of the foundation and also the close links with its social setting. The imposing rock casts its shadow over the steps of visitors, next to the path to the entry. Still surviving from the old Monastery complex are the church, four cells and a small building which used to serve as a stable. In the olden days, the drawbridge would be raised at night or at times of danger. Access to the Monastery was thus completed severed, which is why it is one of the few that escaped pillage. The crank handle of the drawbridge has been preserved. The Monastery is dedicated to the Dormition of the Mother of God. According to tradition, however, it celebrates on the feast of the Life-Receiving Spring (Friday in the week after Easter). The church is a small, single space, built within the cave. The rich iconographical decoration of the church was carried out in the 18th century. At the northern end of the narthex is the opening to the cave, which extends to a depth of 240 metres into the rock. 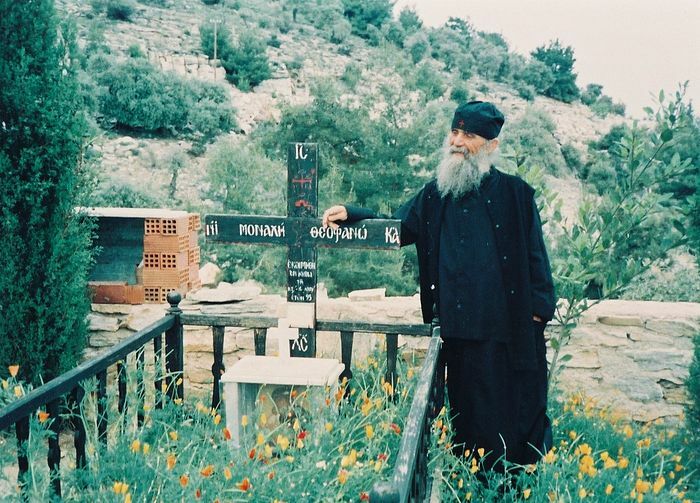 Friday, November 4, feast day of the Blessed Elder Georgios Karslidis of Pontos, warmed my heart with fond memories of nearly 3 decades of pilgrimages to beautiful, gem monasteries in Northern Greece! Taxiarches and the Analipseos Monastery (Sipsa) in Greece is one of the Monasteries in Greece that holds a dear place in my heart. Together with that of St. Paisios in Souroti, they were the first monasteries I started visiting as a University student, before my graduate studies and work at the US. At that time Gerondissa Porphyria, a Living Signpost in my journey on The Way, had not even become a monastic, and now she is a renowned Abbess, one of the few of her ‘calibre’ in contemporary women’s monasteries. The Blessed Elder Georgios Karslidis of Pontos (1901-1959), latter day saint of the Saintly Orthodox Church in Greece, glorified by the Patriarchate of Constantinople in 2008, was the first “resident” and founder of the monastery in the year 1930. He is one of few saints known to bear an imprint of the sign of the cross on his skull. There is a flourishing multitudinous sisterhood of nuns here today, who occupy themselves with the Iconography of handheld pictures, gold embroidery,knitting and waxwork. Gerondissa Akylina was the first Abbess. I had the rare blessing to meet her a number of times during the last years of her life. In the words of our late Elder Iosif Vatopaidinos, Gerondissa Akylina, together with Gerondissa Makrina in Portaria, were ‘Abbesses of Abbesses’: examples of the monastic life and their monasteries models of coenobia, workshops of virtue and antechambers of Paradise. Gerondissa Akylina holding the Cross of St. Georgios Karslidis which was found intact after the translation of his relics. He is one of few saints known to bear an imprint of the sign of the cross on his skull. Gerondissa Porphyria has always been so full of love and humility, always ready to sacrifice her ease, her rest and sleep, everything for her ‘neighbour! How many times has she consoled me in the trials and tribulations of my life! Always by my side, always! How many times has she offered a shoulder to cry on and precious, practical counsel! Her prayerful presence is intensely, intimately felt even thousands of miles away, here at the UK, and her smile warms my heart. Oh, just look at her smile in the photographs below with a pilgrim at the monastery and imagine the rays of the sun warming your shoulders after a rainy, cold day! How blessed am I to have such a spiritual mother by my side! Over the years I got better acquainted with the friendly and hospitable nuns there and the pilgrims and the faithful who regularly visit this monastery. St. Georgios’ holy presence is immediately felt upon entering the monastery gate, and there is always a queue at his tomb where his spiritual children kneel before their spiritual father, now in Heaven, to ask for his spiritual guidance and to seek comfort in life’s trials and tribulations. Last month in Greece, I had the blessing to attend Church services at both the women’s Monastery of the Nativity of the Theotokos and at its twin ‘brother’, the men’s Monastery of the Holy Trinity, at Panorama, the suburbs of my hometown, Thessaloniki. Elder Symeon Kragiopoulos was their spiritual father and abbot. He passed away last year, at 6:00 a.m. on September 30, 2015, but even after a year, his presence is still felt everywhere in both monasteries. He was known throughout as a true elder and teacher. I would like to acknowledge here his zeal, patience, kindness and loving example. He has been in so many ways a spiritual signpost of the faith for my own journey through the desert. What an authentic, uncompromising, and yet gentle, loving, kind, compassionate contemporary Elder, what a heaven-endowed, grace-filled rock of Faith and consolation, a true voice in the wilderness in our times of apostasy! Oh I have been so blessed to hear him preach in my youth, probe into the Niptic Fathers and the Bible, and have attended for years his church services, especially ‘his’ vigils, and his famous silent assemblies, dedicated to the Jesus Prayer, when I was not studying or working abroad. I even had the blessing to spend invaluable, private time with him as a spiritual father, helping me prepare for my postgraduate studies, work and life at the U.S.A. In recent years he largely kept silence due to his failing health but he was known throughout as a God-bearing elder and teacher of the true faith. 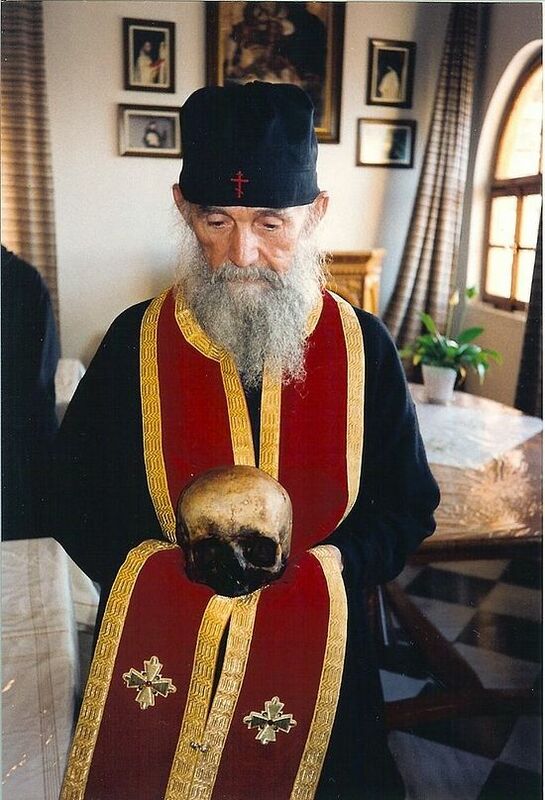 Throughout his life-long ministry, culminating in the prayerful silence of his final, ‘hermit’ years, Elder Symeon has been a rare gift of God, especially for us Thessalonians. In so many respects, Thessaloniki will never be the same after his humble, God-fearing ministry, and we can never thank enough God for the blessing of walking along the Way with such a venerable Elder by our side. His tomb is already a pilgrimage site, and his spiritual children kneel and pray there for hours for his guidance, fully aware that now he is closer to us in the Holy Spirit. Whenever I read his books, or listen to his recorded homilies, the joy and jubilation of Resurrection warms my heart and tears are streaming from my eyes, for the Venerable Elder who was our staff, for the Man of God whom we knew and loved and in whom we placed, after God, so many of our hopes. We felt so loved and so safe in his presence! Spiritual work happens secretly in the heart. Externally, let everything else threaten us, like the sea: the wind blows, waves rise. But deep down it’s all quiet, peaceful, serene. It’s not enough to suffer myriad things in life. When, though, you believe in God and accept all these—whatever it is that happens to you—accept all these gladly, for the love of God, God will make a saint out of you. Man will find all, but after he has lost all, after he has deprived himself of all. It matters greatly for a man to deprive himself of the most beautiful, the best, the most innocent, the purest things, which the Lord Himself has deprived himself of. It matters greatly for man to deprive himself of things because he loves God. However, we know that we have a Saviour, we know that Christ came to earth. Then we start to understand what it means that he came to save us, and we run to the Saviour. We run to the Lord with pain, with prayer, with a cry, with faith, with hope and a firm conviction that the Lord will accept us and will save us. The Lord wants us to approach things exactly like this. This is not our own daring or our own boldness. He wants us to act just like that, to entrust ourselves in this way, and for this reason he gave us promises. So someone does this work, and little by little the decay of his soul, that lies in the subconscious and the unconscious, emerges. For us to have right communion with Christ, it is necessary that our entire soul becomes conscious, that it comes into the light, into the grace of God, and that nothing remains in darkness. However, no matter how much someone believes, no matter how much he, every day, makes a new start in the true life and struggles to give himself and devote himself to God, he must realize this vital point: that within him, the ego, pride, and selfishness, live and rule. This self-love, this self-worship, lives and reigns. Therefore, man must become humble: every day, he must increase in humility. We have many things, many realities from our everyday life that help us with this work. He who truly loves humility, and desires to become humble, begs God for this. In this way, in the beginning, and imperceptibly –later perhaps more truly—he starts, little by little, to feel this, the emptying of the soul from the ego, from selfishness, from the idol which we have installed within us. And so if one is completely humbled, he surrenders himself to God and is devoted to him—meaning that every day he makes a new beginning, from which the whole object of his soul will finally come into the light of God—in truth, man will arrive at this state which the Lord promises to us. The Lord didn’t come simply to die Himself. Rather, He said that we will also die with Him. And in the same way that He Himself resurrected, we will also be resurrected. Whatever Christ is after the resurrection, this man also becomes when he is united to Christ. He is not simply a good man who thought up some good things. Christian means little Christ. In the end, Christ will make each one of us whatever He is himself. He does not simply advise us from the outside, but enters into us and takes us into Himself. We are united and become like unto Him. Even from this life we become like unto Christ, but this will become complete in the next life. We are Christians of comfort. That’s why the Lord will let us struggle a lot. Don’t expect salvation with certainty, unless all comforts are abolished in you. Our whole Christian mentality functions wrongly. On the one hand, we want to avoid suffering. On the other, we take great care not to lose or deprive ourselves of anything. And we “walk” in the wrong manner. In the long run, whether we like it or not, we will have suffering. And indeed, when we have a fake impression that we are enjoying the goods of this world, our life is often like hell. These words, and many more can be found here. Memory Eternal, dearest pappouli! May we meet you in Heaven! In the following days, I am going to present a tribute to Father Symeon, together with excerpts from his homilies and a few recordings, for those of you who are hearing about this venerable elder here for the first time. Even if the recordings are in Greek, I trust the spirit of this man of God can be felt through and richly bless us all. Father Stephanos of the Monastery of Transfiguration (Metamorfosi tou Sotiros) in Dryovouno speaks very little, mainly with his eyes. Mother Theologia: “How little do we think of death, although he is so near to us!” commenting on a yet another sudden, unexpected death. Sister Ioanna:”Yesterday at midnight, while I can finishing the writing of an icon and adding the dedication, I realised that although I could write the mother’s name easily, there was no way I could add her late son’s name. I started praying and in the Spirit I ‘saw’ that the mother was in a very good spiritual state, but her son was not at all well and needed our prayers. She felt that God had granted rest to the mother’s soul, but they should do alms in the son’s name and pray to the Lord so He will grant him rest”. We arrived at the Monastery of the Transfiguration (Metamorfosi tou Sotiros) in Dryovouno on its Feast day. We were a group of faithful, Mother Theologia and some nuns from the nearby Monastery of the Assumption, Dormition (Koimiseos tis Theotokou) of Mikrokastro. What stunning Beauty confronted us! This male monastery is located a few kilometers above Dryovouno, at a secluded area. Its foundation goes back to 1592, while the murals were completed in 1652, by painter Nikolaos from Linotopi while the narthex in particular is the work of Argyris Kriminiotis. Kosmas Aitolos arrived here and, after preaching, treated the monks who had been taken ill due to an epidemic. He fetched water from a nearby spring, blessed it, and gave it to the monks to drink, who were then cured. This water has been considered holy ever since and a chapel devoted to saint Kosmas has been constructed at the spring. St. Kosmas received from God the gift of prophecy. At wartime, the monastery offered valuable services to the local population. It served as storage for ammunition and as base for various chieftains. This is where Dimitrios Feraios, Kapetan Vardas and Pavlos Melas resorted to. In 1943 it was set on fire by Italians along with its historic records. Its renovation began in 1996, the prime mover being Archbishop Stefanos Rinos with the personal efforts of monks and believers. The parvis offers a sense of tranquility and a spectacular view to Voio and Kastoria. A most spiritually intense summer so far! Full of such dramatic ups and downs! Personal tribulations and divine interventions, violent, ‘rough seas’ in the ‘world’ and hesychastic pilgrimages and retreats in monasteries! This week I am entering the atmosphere of Romanian Orthodox Christianity and undertaking together with very special Romanian spiritual brothers and sisters a pilgrimage to various, notable monasteries to the south of Romania. My first stop was the Monastery of Zamfira, famous for its ties with Greek Revolutionary history, and specifically Nicolae Mavrocordat, and for its amazing paintings by the skilful young Romanian painter Nicu Grigoresku. This monastic complex is located in the Teleajen Valley, halfway between Ploiesti and Valenii de Munte. It has two churches (monuments of art), a collection of religious art and the cells of the nuns. The first church (named The Big Church) is located the large yard of the convent. It was founded by Metropolite Nifon and was built between 1855 and 1857 with the aim of transferring the monks from the “Rosioara” hermitage of Filipestii de Padure. The artistic significance of this church is based on its painting, because it is the first church entirely painted by the great Romanian painter, Nicolae Grigorescu, at the age of 18. This painting is considered to be unique since it the only one created in “fresco” by Grigorescu. The mural painting and the icons of the iconostasis were completed in an extremely short time, i. e., in less than 14 months. This painting has undergone several restorations, the last and best one being done between 1986 and 1989 by the painter and restorer, Chiriac Ion. He carefully removed all the repainted portions, hence making the original painting visible once again. It is a remarkable restoration. The collection of religious art containing objects dating from the 18th, 19th and 20th centuries belonged to the two churches or to the various donors: icons on wood or glass, books of worship, invaluable objects of worship, carved pieces embroideries, etc. Frescos of the great Romanian painter, Nicolae Grigorescu. The chanting of the nuns was breathtaking, the kneeling during its long services surprisingly soothing, a balm to the wounded heart, and the Vespers and Matins services dedicated to the veneration of St. Paisios the Athonite, my patron Saint and spiritual grandfather, incredibly moving! What a surprise to find his Icon and seek his intercessions at the very heart of Romania! Even the strangeness of praying in a language you can barely follow was a special blessing, a long-sought-for emptying, a kenosis, allowing all this silence and deep peace of Christ ‘invade’ you!